Your donations and dollars make the difference and save lives. 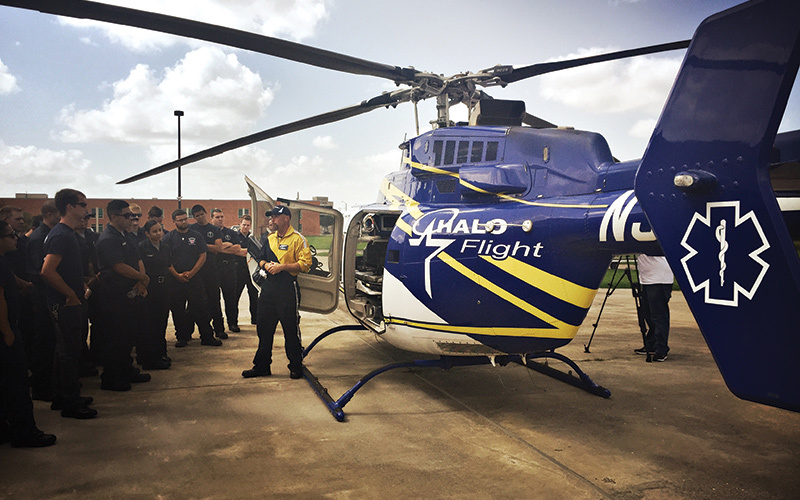 HALO-Flight relies on community and business support to offset capital expenditures and operational costs to stay in the air, expand the fleet, and respond as quickly as possible during crises. Strategic planning allows you to align your charitable goals with your overall financial plans. Planned giving is the process of planning out the gift(s) you wish to make to an organization. They are typically made through endowments, retirement plan assets, life insurance policies, etc. Some companies have giving programs in place that will match your gift, thus making your impact even greater. Using this option, you would be able to have your donation deducted directly from your paycheck and have your employer match your gift. Ask your human resource department if this is an option for you. We appreciate your interest in becoming a corporate partner of HALO-Flight’s. Corporate partnerships provide us a platform to reach a multitude of audiences throughout our South Texas coverage area. These relationships are given extensive consideration and demonstrate to the public the collaboration and commitment to our mission.